Tuna fishing ships and security patrol boats are currently sitting dormant, docked in the capital of Mozambique, Maputo. Together, these boats provide a daily physical reminder of the ongoing political scandal that has rocked this south-east African country and contributed to a major economic crisis. But the story begins in the offices of two banks in London, Credit Suisse and VTB. In 2013, these two banks arranged for a state-owned company in Mozambique to borrow $850 million from international speculators, supposedly to pay for the tuna fishing fleet, with an interest rate of 8.5%. Unbeknown to most people at the time, Credit Suisse and VTB together also lent a further $1.1 billion, under English law, to two state owned companies in Mozambique. All of these loans were guaranteed by the government of Mozambique. However, they were not approved by the Mozambique parliament, which has led campaigners in Mozambique to label them illegal. The Financial Times has labelled the loans “odious”. Both officials in Mozambique and the banks and other companies involved have not released enough information to know what has happened to the money. What is clear is that the Mozambique people are now suffering from a debt crisis they had no role in creating. From 2001 to 2014 Mozambique was one of the fastest growing economies in the world. This was based on a series of mega projects based around the extraction and export of resources such as fossil fuels and metals. In a report in 2015, Jubilee Debt Campaign showed how this high growth was not leading to significant poverty reduction and that the dependence on raw materials made the country vulnerable to a big fall in prices, which could lead to a debt crisis. The first ever mega project was an aluminium smelter just outside Maputo. In 2013 Jubilee Debt Campaign showed how foreign companies and governments, including the UK, were making large amounts of money out of this factory, whilst tax exemptions meant the Mozambique government was left with almost nothing. Similarly, Mozambique organisation Justica Ambiental, part of Friends of the Earth International, have shown how the coal mines in the north of the country have generated little revenue for the government and created few jobs, whilst saddling the government with large debts to pay for infrastructure claimed to be required by the mines. The fall in global commodity prices has cut the Mozambique government’s revenue, as it has for many commodity exporting countries. In December 2015, the IMF began lending money to Mozambique to pay off previous lenders, whilst keeping the country in debt. Then in April 2016, the existence of the hidden debts was finally revealed by investigative journalists. None of the loans were approved by the Mozambique parliament, breaching the country’s constitution. The revelation led to the IMF suspending its loans, followed by the World Bank and western governments. The Financial Conduct Authority in the UK has been reported to be investigating the activities of Credit Suisse and VTB. In Mozambique, the value of their currency, the metical, has fallen 50% against the US dollar since mid-2014. Because so much is imported into the country, this has led to large increases in prices, including for basic foods, without equivalent increases in wages. Kayana Kandagona* is a mother of two in Maputo, the capital of Mozambique. Until last year, she ran a business importing beds from neighbouring South Africa, making £500 a month. However, after the Mozambican currency fell by 50% in value, prices rocketed and Kayana’s customers could no longer afford payments on the beds. Her income dropped to less than £20 a month. The family now eats two meals of rice a day, occasionally with some seasonal vegetables. Her 12-year-old daughter and 10-year-old son are always saying: “Mama, we are hungry”. Kayana told the IRIN news network that she blames the secret loan scandal for the family’s plight. Mozambique’s debt is now thought to be $11.6 billion, 93% of GDP, and without the loans from the IMF and World Bank to pay off other lenders, the debt cannot be paid. The government has already announced a range of cuts, reported to be across all government spending except for health, including education, social services and welfare and vital infrastructure. Campaigners in Mozambique from organisations such as the Mozambique Debt Group and Budget Monitoring Forum are calling for a range of measures to hold government officials to account, including a completion of audit of the debt, prosecution of any officials who broke the law, and changes to procedures to ensure such hidden borrowing cannot happen again. The companies which took out the loans have gone into default on debt payments. 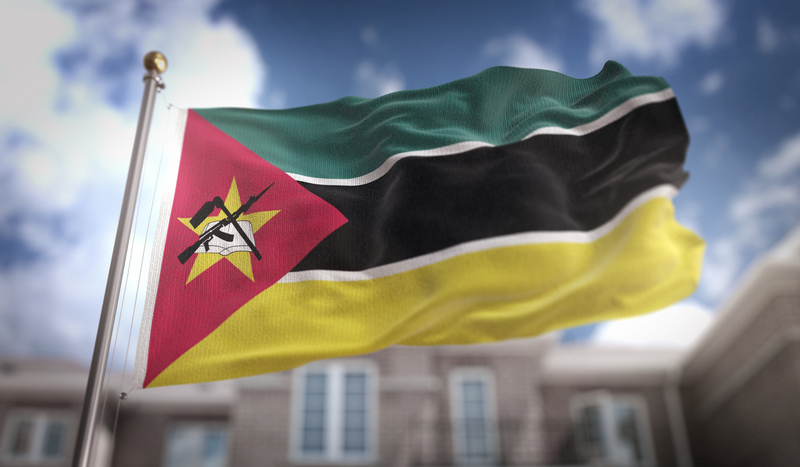 So far the holders of the debt have not triggered the government guarantee, or begun Court proceedings against Mozambique in the UK, under whose debt the law is owed. The IMF has refused to begin talks on new loans until more information is released to the audit. The people of Mozambique need international support so that all those responsible for the secret debts are held to account, both officials in Mozambique, and the banks which lent the money. We also need new regulations to ensure all lenders are transparent, so that parliaments, media and the public can hold both borrowers and lenders to account.